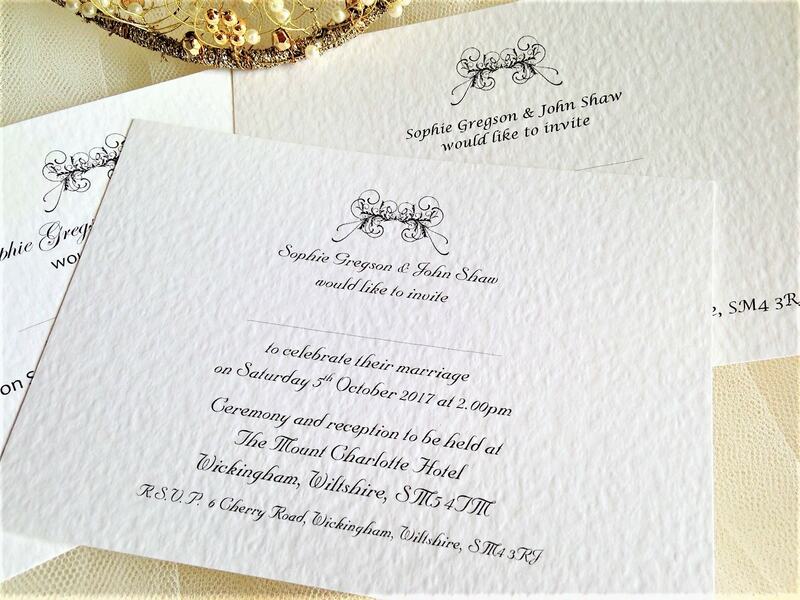 Art Deco Postcard wedding invitations are an elegant postcard-style personalised wedding invitation supplied on a thick heavy weight (270 gsm) hammered card and are available in either white or ivory. 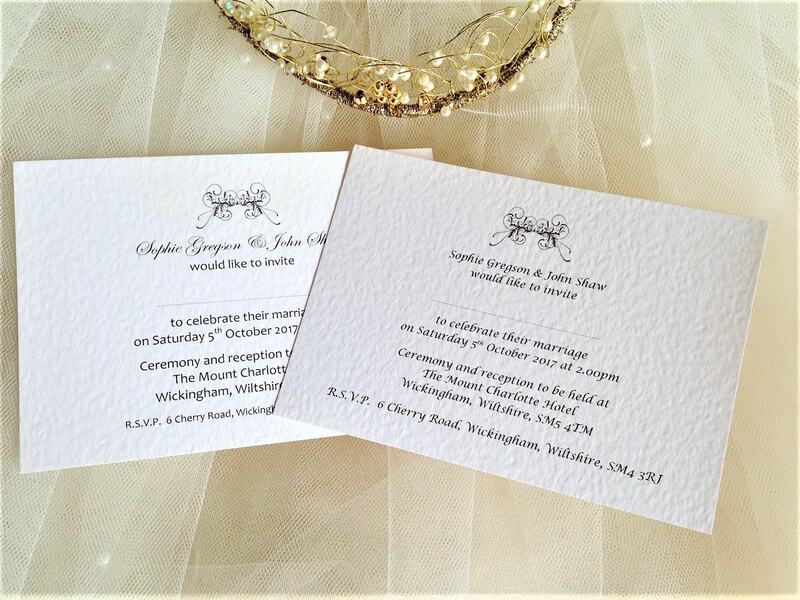 This is the most affordable wedding invitation style in our Art Deco Wedding Stationery Range. 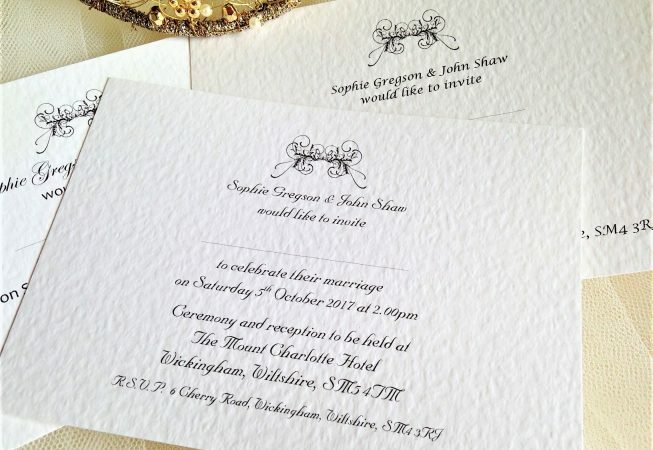 All our wedding invitations are supplied with a matching hammered envelope and we can print your guests names free of charge (this is optional). 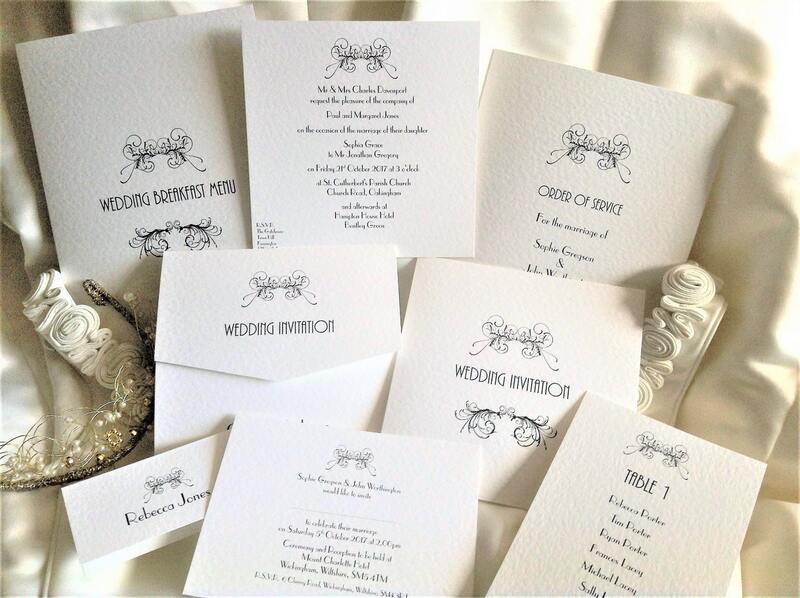 If your wedding theme is full of art deco glamour and 1920’s sophistication then our Art Deco wedding invitations and elegant wedding stationery is perfect for you. 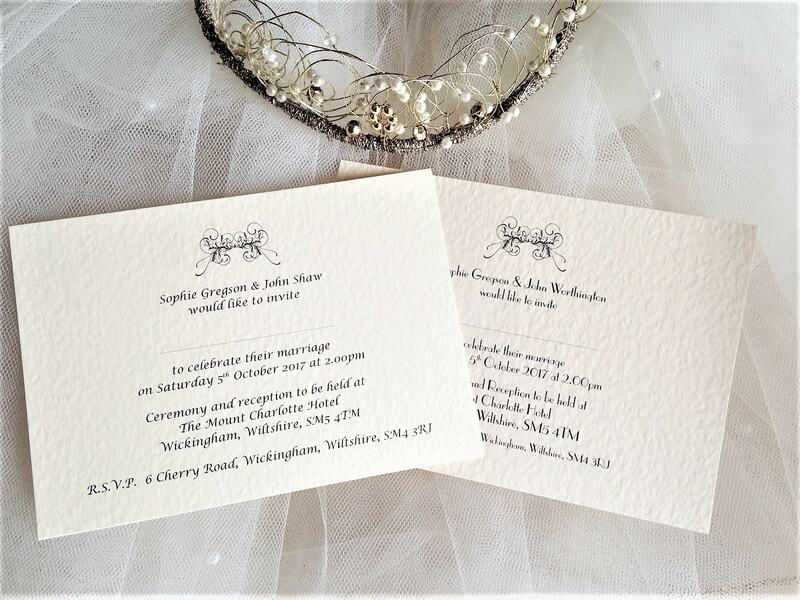 A6 Postcard (14.5cm x 10.5cm).